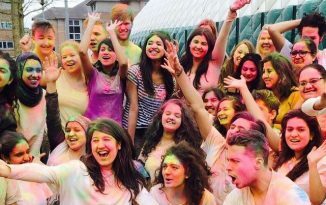 The Summer Ball this year had a day event in addition to the traditional evening one. This was provided to ticket holders for no extra cost and proved to be as popular has it has been since it was introduced two years ago. 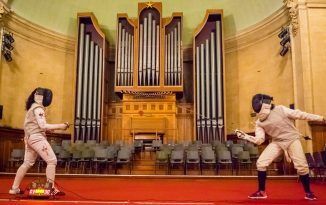 The organisers warned beforehand that attendance of the daytime event would be limited to the first thousand people. 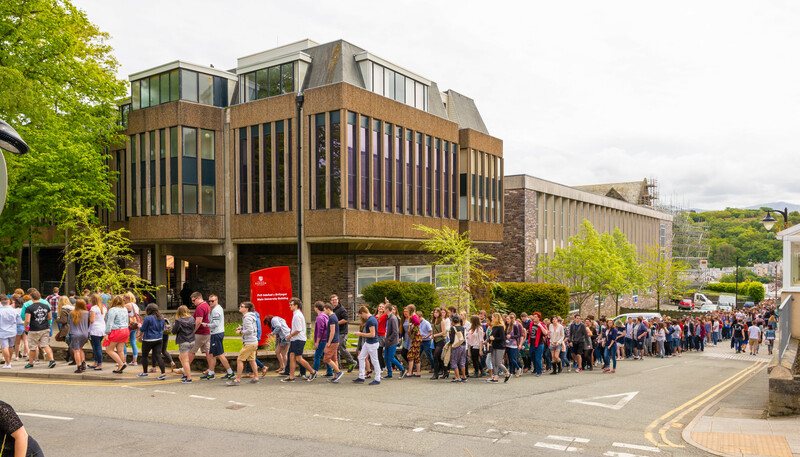 This popularity and limited capacity led to long queues forming outside Main Arts well before the announced opening time of 12pm, which at their peak extended all the way past the Brigantia building down to Penrallt hill. 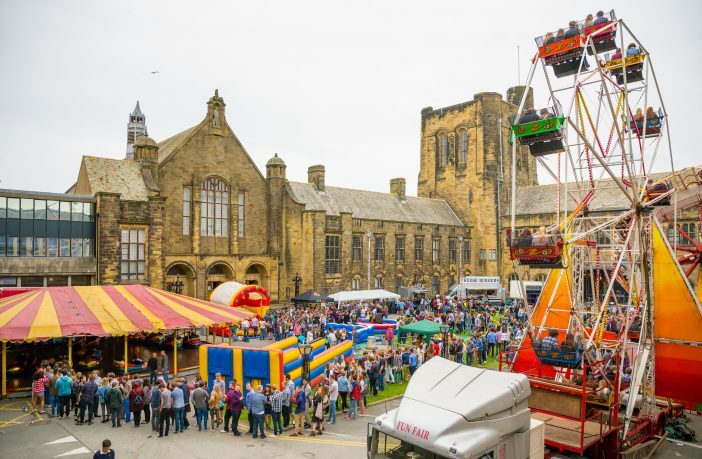 The day event took place in the courtyard of the Main Arts building with the funfair, music and (some) sunshine giving it a festival feel, set against the backdrop of the historic university buildings. There were traditional rides such as a Ferris wheel and bumper cars and a range of inflatable activities to test your balance and strength. The Ferris wheel also gave the added bonus of a usually unseen spectacular view of lower Bangor from above with the mountains of Snowdonia beyond. Despite warnings of heavy rain, attendees enjoyed dry, if somewhat breezy, weather. This may have been a good thing though as the scorching heat last year produced many ‘lobsters’ in the evenings photos. 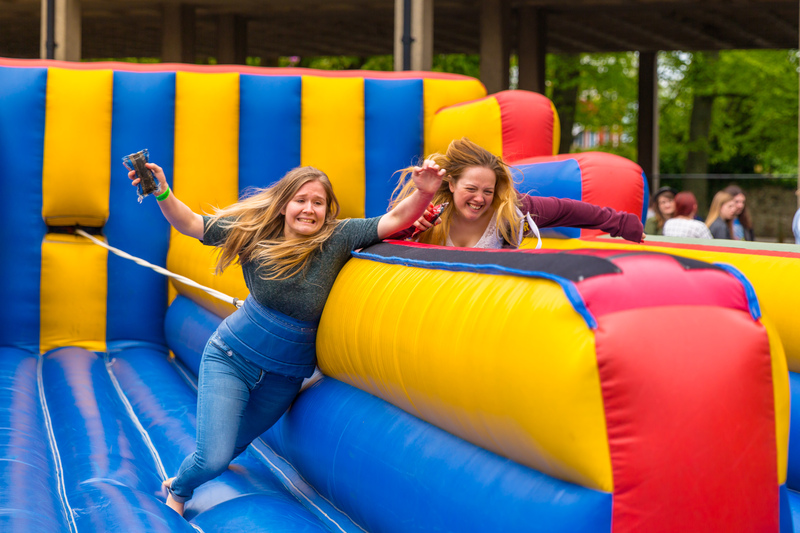 We also got to witness the competitive side of many guests with activities like sumo wrestling, bungee runs and even dodgems pitting them against each other – luckily with a inflatable suit or bumper to come between them. 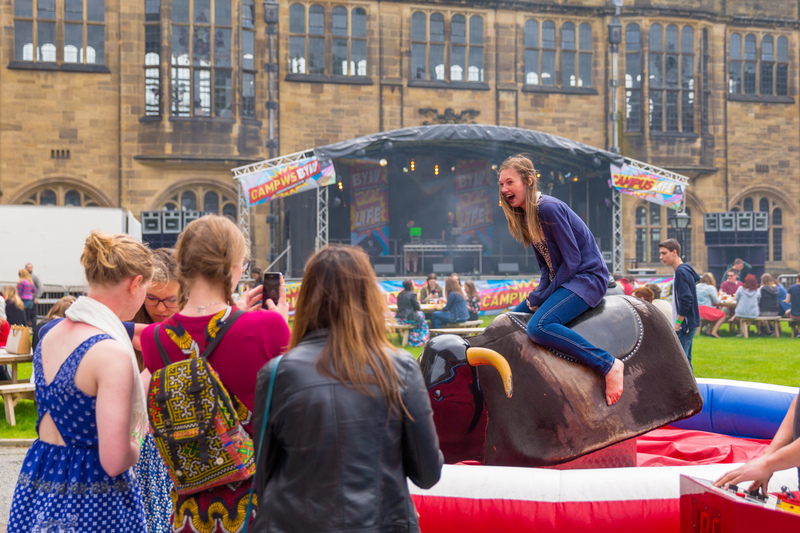 Alongside the fairground rides students enjoyed treats of intoxicating cocktail flavored local ice lollies as well as the regular hamburger and coffee vans. 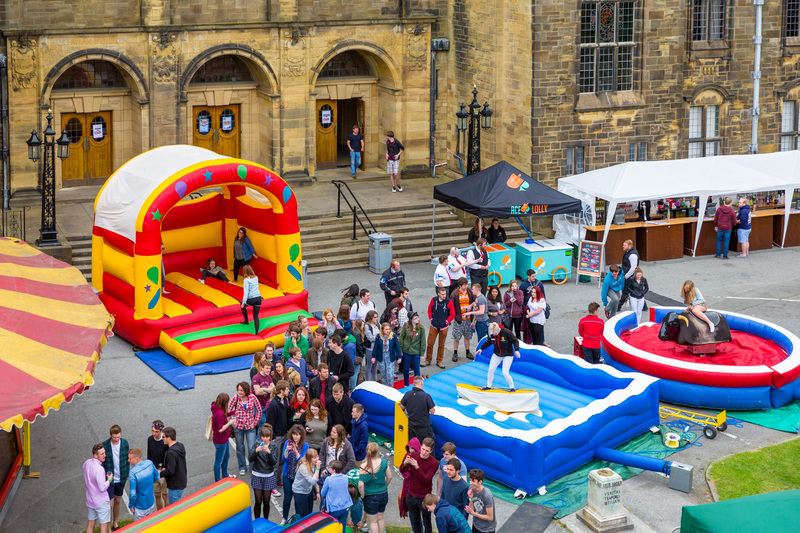 Even with a large amount of people packed into a small courtyard the event went smoothly. Occasionally large queues formed for certain rides but the atmosphere was upbeat and the excitement for the rides overrode any annoyance caused by the delay. 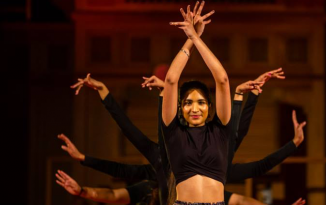 Overall the daytime event received highly positive feedback from attendees, the only slight negatives mentioned by some were the organisation of practicalities, such as garbage collection, volume of the music played and the number of available toilets.